These days, most enterprise architectures are neither fish nor fowl. 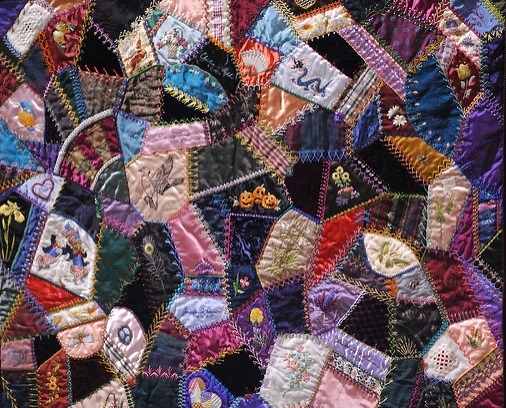 They consist of hundreds of major, and thousands of minor systems all sewn together into a crazy quilt patchwork of design. While to some extent, this has always been the case in IT, what is different today about enterprise architectures is critical applications – major and minor – exist on both sides of the firewall. Adding to the chaos, many of these applications are not owned or controlled by the organizations depending on them. Without question, the pendulum has swung from the order of glasshouse data centers to the chaos of Cloud innovation. However, the pendulum is beginning to swing back towards order as new ways to stitch together systems are developed. As new methods of integration advance, enterprise architects face the unprecedented challenge of balancing cloud-based with on-premise applications. Many IT departments are tempted to ignore systems in the cloud. After all, they didn’t choose them, they don’t pay for them, and they can’t maintain them. They feel most strongly this way about SaaS applications where the architectural decisions were made with the swipe of a corporate credit card. Even so, to fail to recognize their significance to modern organizations would be a grave mistake. The business has seized the opportunity to reduce overhead, expand reach, and improve operations and they are not about to let it go. As the pendulum swings back towards organizations taking control of their data, IT is going to play a greater and greater role beyond the firewall. Many governance issues come with the Cloud. Paramount among these is the ever-growing importance of data security. However, security is not the only issue. Data integrity, application reliability, and vendor viability are growing problems as well. IT is the only department capable of managing this crazy quilt patchwork of applications. Therefore, when it comes to optimizing an enterprise architecture, you cannot afford to disregard data that resides in the cloud intentionally. It would help if you had the tools that were designed to connect to cloud applications. Many parts of the business would prefer to move everything to the cloud and just be done with it. They would like to write a check every month, sign on every morning using their Facebook account, and have one throat to choke. This view is shortsighted. By some estimates, there are still 220 billion lines of COBOL code in production today representing 80% of all enterprise software. [i] The challenge of moving all the data they have produced over the years to the cloud is impractical. For the foreseeable future most, on-premise systems will remain just that – on-premise. They are too expensive to make it a smart business decision to move them. When it comes to aligning enterprise architectures, you cannot afford to fail to remember the data that resides on-premise. It would help if you had the tools that were designed to connect to on-premise applications. The enterprise architecture of most businesses is neither fish nor fowl, and that is not going to change. You can’t afford to ignore the data in the cloud. You can’t afford to forget the data on-premise. Enterprise Architects have to strike a balance between security, accessibility, and affordability. Striking that balance can be especially challenging in a manufacturing environment where many of the systems are custom and tailored to the specific process of the plant. Many manufacturers have concluded that the only practical way to get this done is to use platforms and API’s like Jitterbit to connect to applications both in the cloud and on-premise. Jitterbit is the only thread strong enough to stitch together the crazy quilt of current enterprise architectures. Our eBook The Power of APIs for Connected Manufacturing describes some of their experiences. Consider downloading it. [i] “COBOL Is Everywhere. Who Will Maintain It?” The New Stack. May 08, 2017. 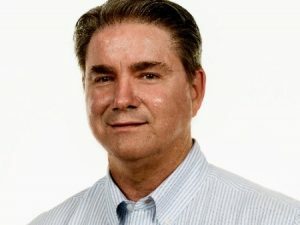 Accessed March 22, 2019. https://thenewstack.io/cobol-everywhere-will-maintain/.